Please support those who support us! Let them know we apprecicate their continued support! MCLEOD RACING LLC is a worldwide leader in the high performance automotive aftermarket clutch and driveline industry and is a leading global supplier of clutch kits, clutch components, hydraulic bearings, flywheels, bellhousings and other performance driveline products. McLeod Racing is proud to have been providing cutting edge products, and industry leading service to the world’s foremost performance automotive, light truck and racing enthusiasts since 1971. 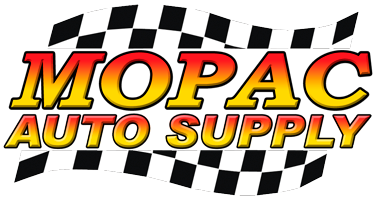 MOPAC AUTO SUPPLY LTD has been serving the High Performance industry for 41 years. From our modest store on Kingsway in Vancouver back in 1973, to our 3 Superstore locations we have today, we have always been in the forefront of the performance industry. Our stores are conveniently located in Langley BC, Calgary AB, and Edmonton AB. With over 225 product lines and over $10 million of inventory, Mopac Auto Supply Ltd. is the largest performance parts distributor in Western Canada. BDL Automotive is a family business owned by Bob and Debra Love. Bob has been a licensed mechanic since 1989 and has repaired all makes and models of vehicles in the Tri City Area most of his working life. Our 4000 square foot multi bay shop is modern and clean. We make sure to always have the most up to date tools, diagnostic and repair equipment. We keep you in the loop regarding every stage of service. We are Tri City Chamber of Commerce Members. The TV and coffee machine in the office are always on so free to stop in for a cup!